The New Monday Quiz celebrates the legacy of Dr. Martin Luther King, within the limited scope afforded by its essential nature. 1. The Federal Holiday is a moveable feast; Dr. King’s actual birthday was last Thursday, January 15th. He shared this birthday with a seventeenth century French playwright who is generally considered one of the comic geniuses of the Western tradition. Who was this author of plays such as The Misanthrope, The School for Wives, and Tartuffe? 2. Dr. King was born Michael King; his father was inspired to change his name after a 1934 family trip to this country. Where did the Kings go? 3. 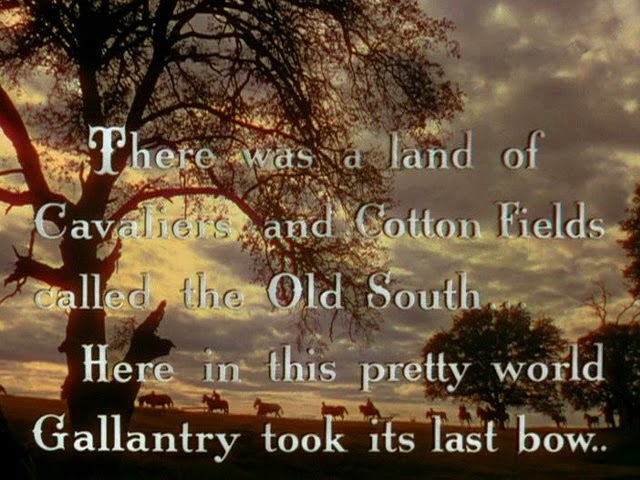 King sang with his church choir at the Atlanta debut of this film, which is #158 on imdb’s list, right after Trainspotting. What’s it’s name? 4. 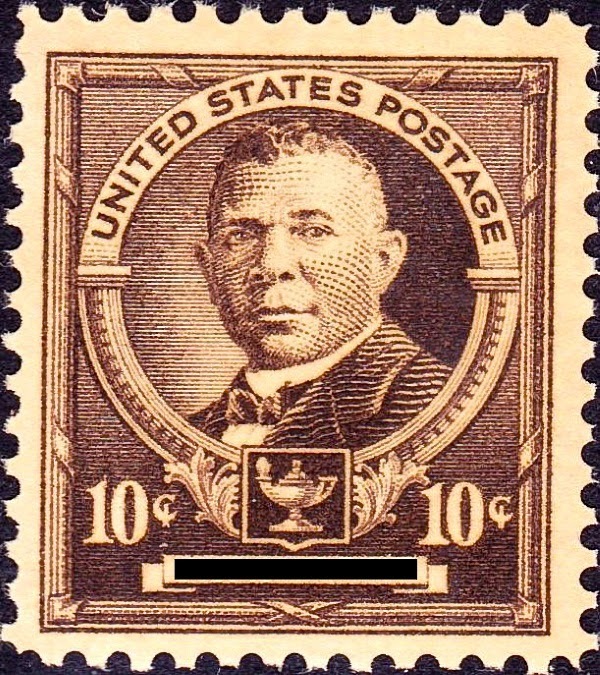 Young Martin King’s high school was named after a nationally known educator and political leader, the first African American to be commemorated on a U.S. postage stamp. What was his name? 5. Dr. King received his doctorate -- his dissertation, alas, tainted by plagiarism -- at a university in a large North American city that was founded on the Shawmut Peninsula in 1630. What was the name of this city? 6. The Reverend Martin Luther King was a Baptist preacher. On this map of Christian denominations, Baptists are shown in red. What is shown by gold, grey, and blue? 7. In 1959, Dr. King made a journey to a country whose several official languages include Kannada, Marathi, and Santali. 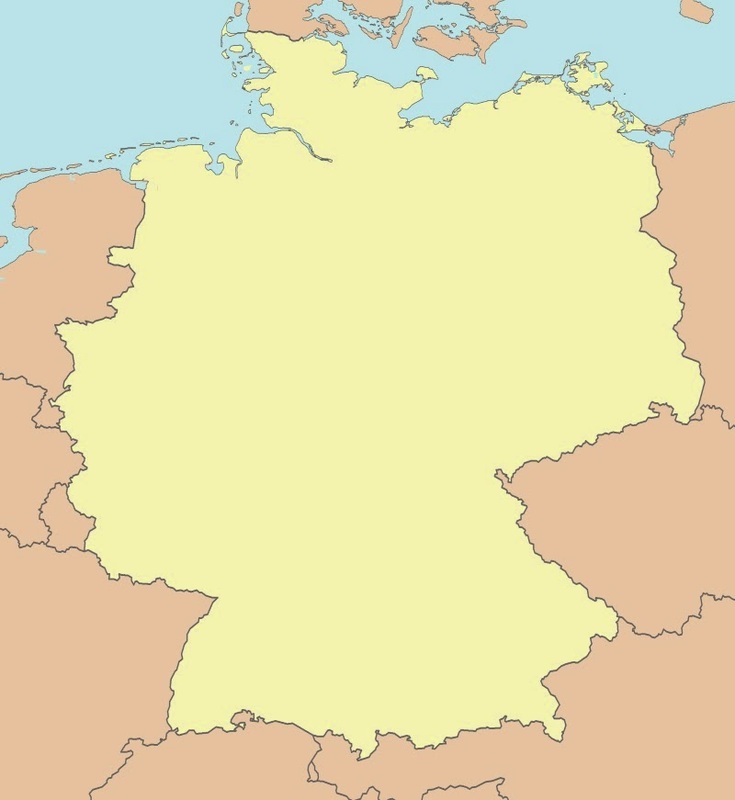 What country is this? 8. On August 28, 1963, Dr. King made his famous “I Have a Dream” speech at the Lincoln Memorial. Exactly 114 years earlier, the Republic of San Marco surrendered to Austria, thus ending the last attempt at sovereignty (so far) for a republic that had maintained its independence for more than a thousand years. What’s the name of the venerable city that was the heart of the San Marco Republic? 9. 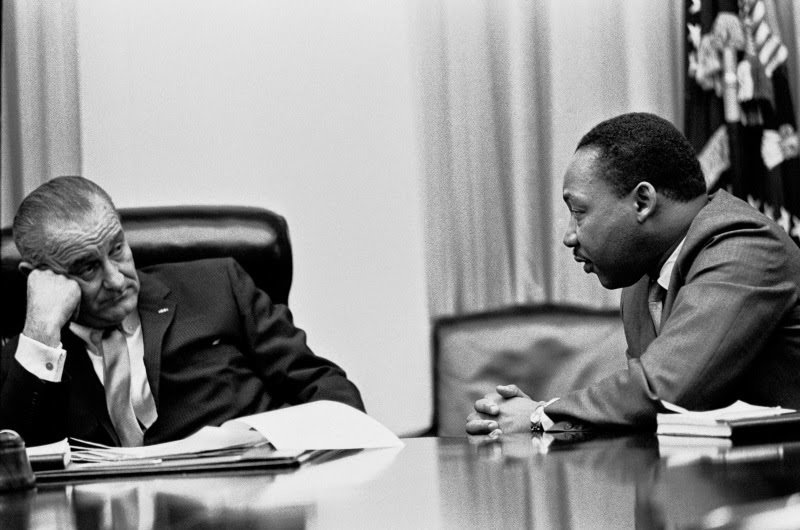 Here’s a photo of Dr. King chatting with another well-known American political leader. What’s the other guy’s name? Two months and two days later, he too would be assassinated. Who was he? 4. The only person I can think of is George Washington Carver but that's probably wrong. 6. Protestants, Lutherans, and Mormons, in that order? 8. I can't remember the name, but the Federico Fellini airport is there. Do I get points for that? If it's correct, that is? Oh, shoot. San MARCO, not San MARINO. 1. I've heard of Tartuffe! But I don't know who wrote it. 6. 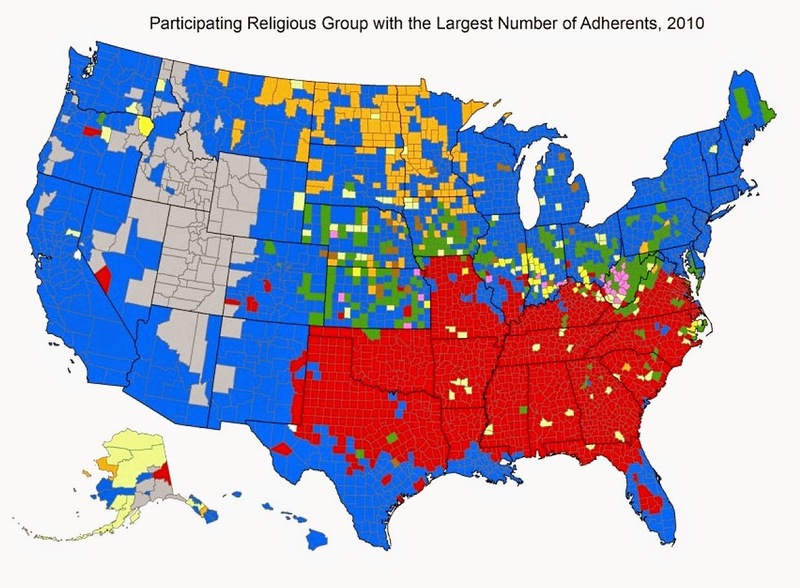 Gold: Lutheran, Gray: Mormonism, Blue: K?? 3. Oh gosh. I don't know. It doesn't look promising. 6. Golly. I'd guess gold is Lutherans. Grey must be Mormons. No clue about blue. Oh, no! It's already Tuesday!